Beach Birthday Party- The guest of honor loves Polka music, but didn't want to dance, so we created this area for the band without a dance floor. The paper lanterns have green, yellow and blue bulbs to carry the theme. 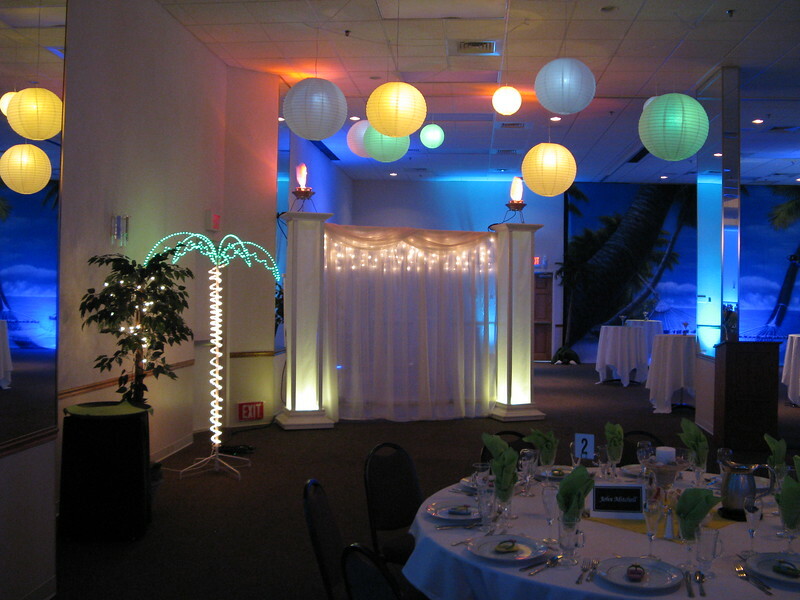 Notice the lighted torches on top of the backdrop and the lighted palm tree.